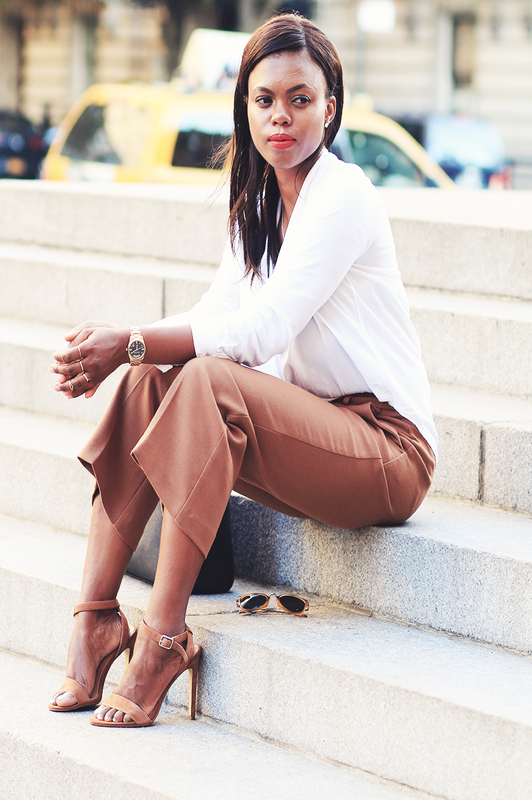 I need to take full advantage of wearing my culottes before it's too cold for them.Culottes are really the perfect pants to transition from summer to fall. 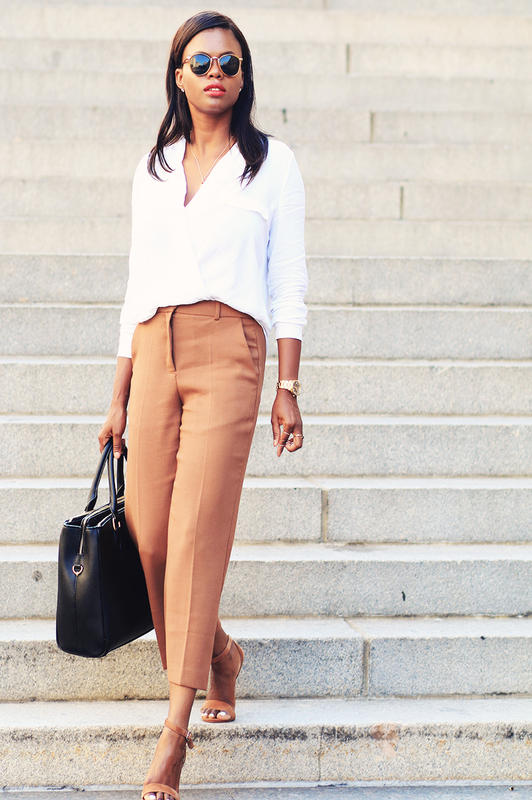 With the weather being unpredictable in autumn,the culottes pants can be worn both when it a little chilly or hot. 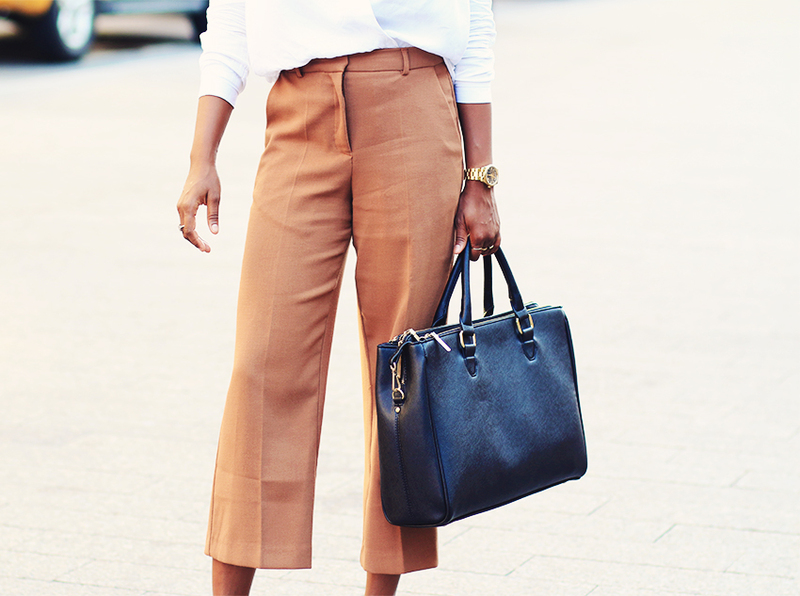 These camel culottes are from Asos and were only $26,what a bargain! 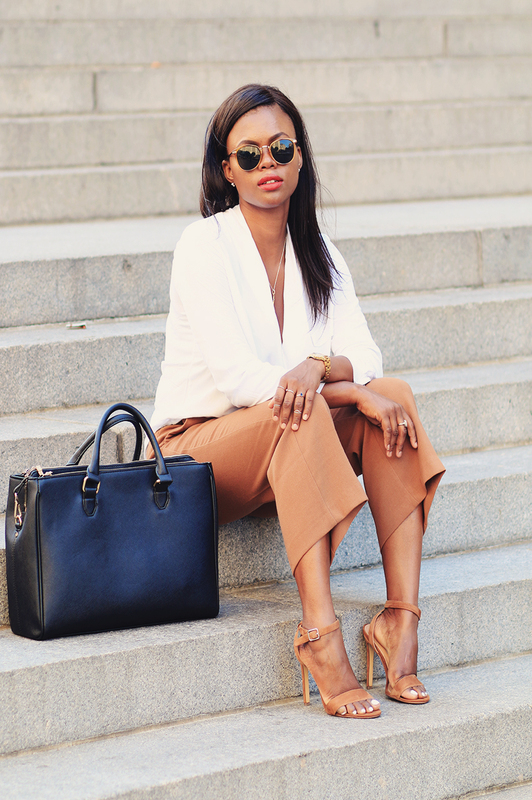 I paired with the obvious white blouse and sure heels from Steve madden.